Judges who are attacked are not supposed to go to the press or the media to ventilate their point of view, it added. 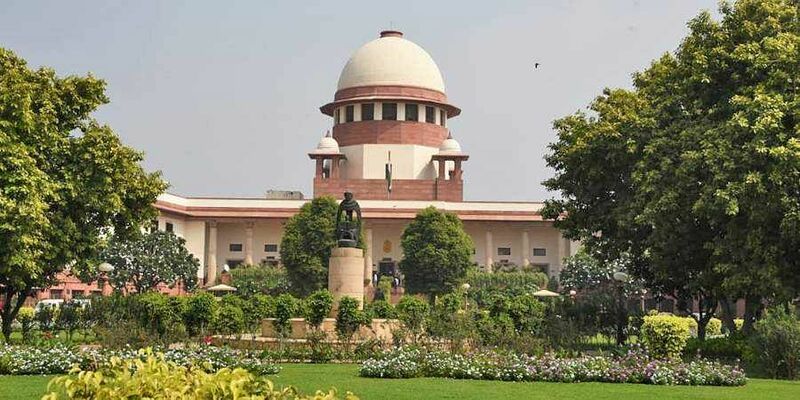 NEW DELHI: Criticising judges in the media by lawyers has become very common and attributing "political colours" to judgments amounted to "sheer contempt", the Supreme Court has said. It said however that power of contempt with the court is a weapon like "Bhramastra", to be used sparingly. The apex court also said that cases cannot be decided by "media trial" and the bar and bench have their own in-built machinery to deal with the grievance and no outside interference can be allowed. Judges who are attacked are not supposed to go to the press or the media to ventilate their point of view, it added. It said lawyers are not supposed to be "money guzzlers" and should not involve in influencing fair decision-making process. While referring to various attacks made on the judicial system from time to time, the court said a lot of sacrifices are made to serve the judiciary which is not less than call of military service. A bench of Justices Arun Mishra and Vineet Saran said that whenever any political matter is decided by the court either way, "political insinuations" are attributed by "unscrupulous persons/advocates". The bench made these comments in its 78-page judgement dated January 28, while striking down certain amended Rules of the Madras High Court including the one to debar a lawyer from practising. "It has become very common to the members of the Bar to go to the press/media to criticize the judges in person and to commit sheer contempt by attributing political colours to the judgments. It is nothing less than an act of contempt of gravest form," the bench said. Dealing with the power of contempt, the bench said, "The court has the power of contempt and that lethal power too accompanies with greater responsibility. Contempt is a weapon like 'Brahmastra' to be used sparingly to remain effective. At the same time, a judge has to guard the dignity of the court and take action in contempt and in case of necessity to impose appropriate exemplary punishment too." It said that act of attributing political insinuations on judges in cases of political importance "are nothing, but an act of denigrating the judiciary itself and destroys the faith of the common man which he reposes in the judicial system". "In case of genuine grievance against any judge, the appropriate process is to lodge a complaint to the concerned higher authorities who can take care of the situation and it is impermissible to malign the system itself by attributing political motives and by making false allegations against the judicial system and its functionaries. Judges who are attacked are not supposed to go to press or media to ventilate their point of view," the top court said. While making it clear that corruption is intolerable in the judiciary, the bench said lawyers cannot go to streets or go on strike except when democracy itself is in danger and the entire judicial system is at stake. "The judgment rendered by a judge is based upon the dint of hard work and quality of the arguments that are advanced before him by the lawyers. There is no room for arrogance either for a lawyer or for a judge," it said. It said that for the protection of democratic values and to ensure that rule of law prevails in the country, no one can be permitted to destroy the independence of judicial system from within or from outside. "A lot of sacrifices are made to serve the judiciary for which one cannot regret as it is with a purpose and to serve judiciary is not less than call of military service," it said. The bench observed that if the bar fails to perform the duty independently and becomes a "sycophant", it ultimately results in denigrating of the judicial system and judiciary itself. "Role of Bar in the legal system is significant. The bar is supposed to be the spokesperson for the judiciary as Judges do not speak," the bench said, adding, "It is the duty of the Bar to protect honest judges and not to ruin their reputation and at the same time to ensure that corrupt judges are not spared." The top court said lawyers are not supposed to be "money guzzlers or ambulance chasers" and they should neither expect any favour from a judge nor involve in influencing the fair decision-­making process.